Ahlen, June 2016. – According to the Vereinigung Deutsche Sanitärwirtschaft e.V. 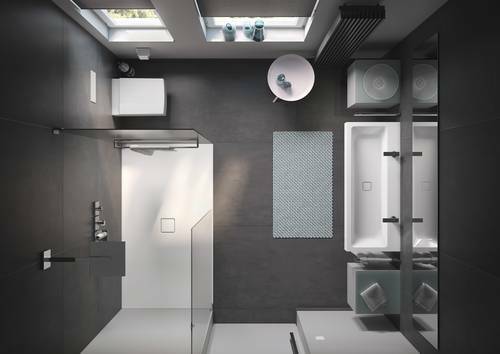 (German bathroom manufacturers’ association), the average bathroom in Germany measures less than eight square metres. 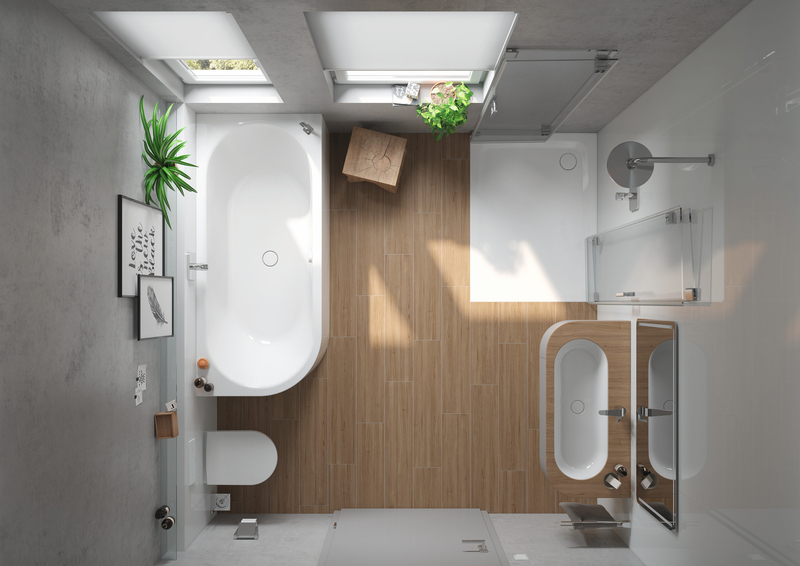 Urban bathrooms are often even more compact. With this in mind, premium manufacturer Kaldewei shows with three clever solutions how even the smallest space can be transformed into a personal sanctuary. 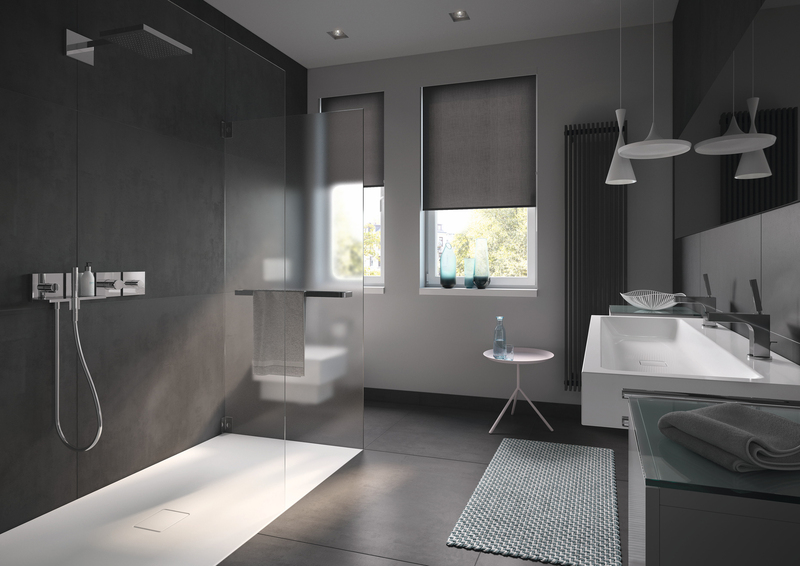 Combining, optimising, prioritising – bathroom design is not a matter of size, but of personal preference and style to create the perfect fit. Many people think that a small bathroom cannot accommodate both a bathtub and a shower. The good news is that a little clever planning with flexible models of shower surface, bath and washbasin can make dreams come true. 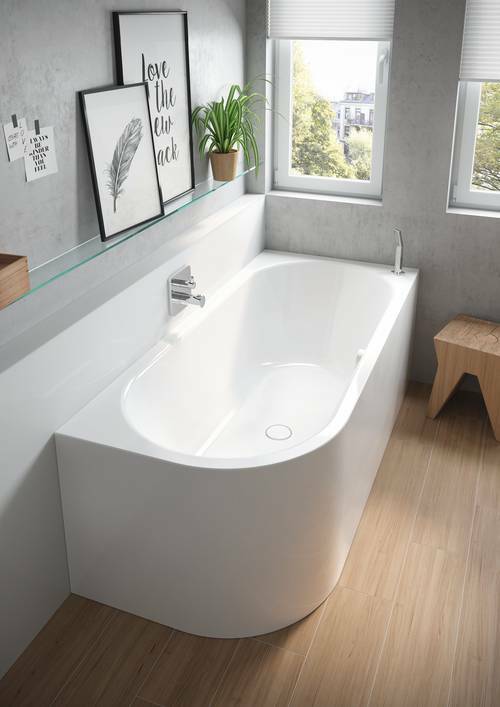 The Kaldewei Meisterstück Centro Duo bathtub with two-sided panelling maximises space with a single rounded corner at either the right or the left for a variety of installation options. Styled to match, the undercounter washbasin Centro is framed by a generous surround in a way which optimally accentuates the design of the Kaldewei washbasin. The space under the washbasin is kept clear, adding visible floor area to create the illusion of space in the small bathroom. This effect is enhanced by the floor-level shower surface Superplan, which integrates perfectly with the bathroom floor. The Superplan model is available in many different sizes, making it a versatile range ideal for any bathroom. 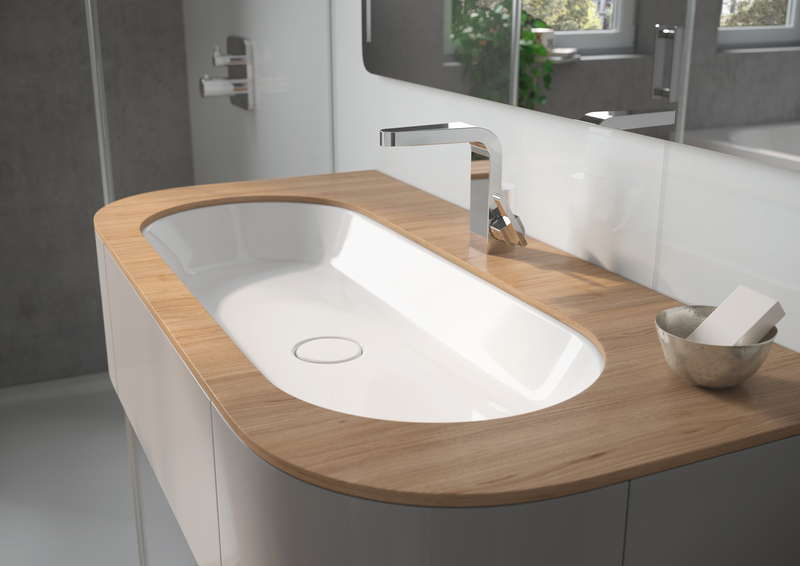 Soft, flowing lines combine with warm and natural colours to provide an ambience of truly luxurious indulgence. The finishing touch is a shower surface, bathtub and washbasin made completely of superior Kaldewei steel enamel. 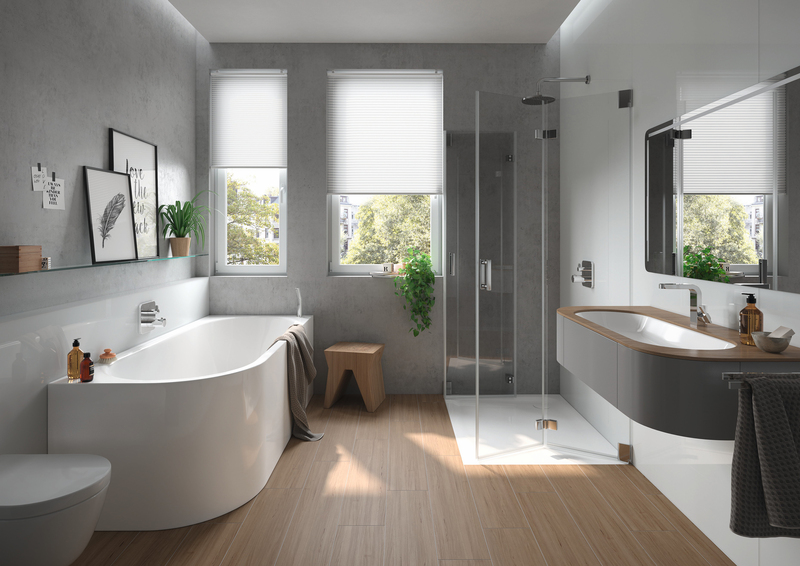 The Cayono bathtub in this space-saving bathroom concept is designed for you to indulge in the pleasure of bathing and showering. Serving two functions at once, this leaves plenty of room to move around and enjoy the convenience of two his and hers wash zones. Ideal for sharing a busy bathroom. The room is rounded out by matching washbasins made of Kaldewei steel enamel. 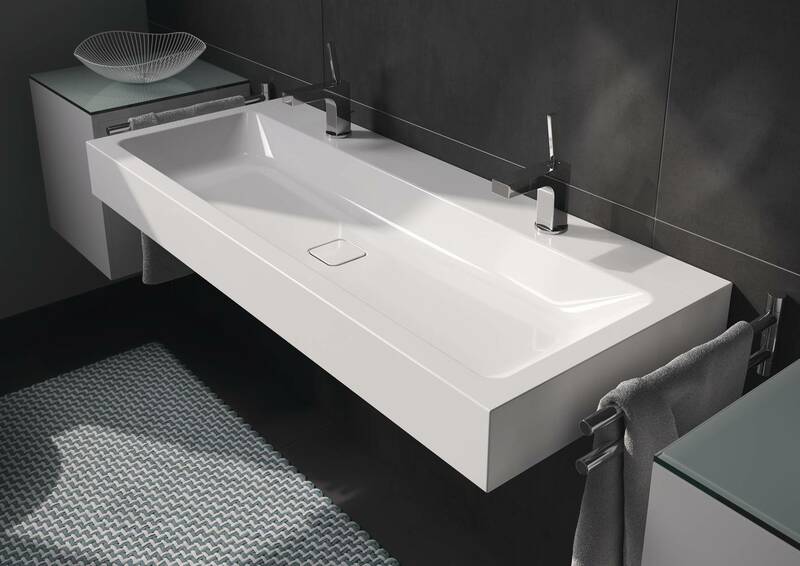 In a stylish design with spacious interiors and functional ergonomics, the bathtub and washbasin ensemble provides a haven of relaxation with an elegant ambience. Shower enthusiasts want maximum space for their favourite indulgence. Floor-level enamelled shower surfaces such as the Kaldewei Conoflat are the way to go here. Their large sizes offer ample room to move for an exceptionally pleasurable shower experience. The ultra flat Conoflat with its minimalist design visually opens up the interior, while maximising the natural light that fills the room. 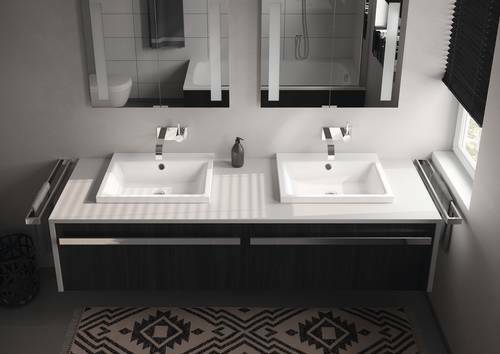 Echoing the crisp, clean lines of the shower surface and with a matching square, enamelled waste cover, the Cono double washbasin offers plenty of space for two and rounds out an interior that exudes contemporary elegance and seamless aesthetics. 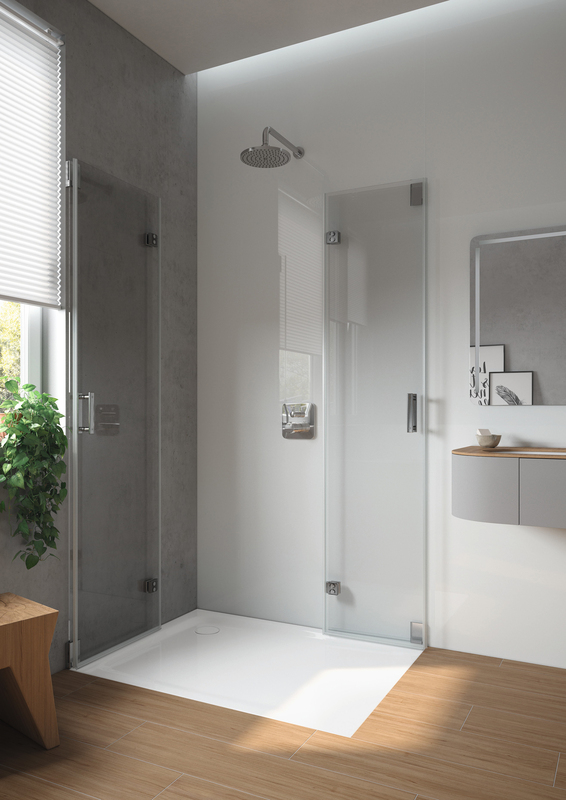 The sliding door enclosure in this solution creates extra space in the bathroom. Start by addressing the essentials: Do I need a bathtub or would I rather have a shower? Are both a must? How many wash zones do I need? Optimise your space with bathtubs or shower surfaces that save space in the right places. Flexible solutions are best for a perfect fit. Make niches work for you – use them to install a shelf, cabinet or shower. Maybe a sliding door will give you more space? 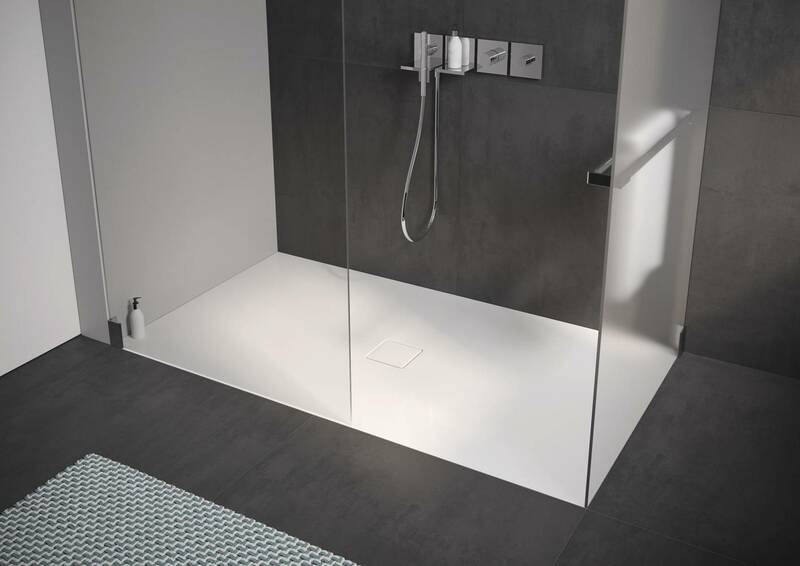 A floor-level shower surface provides greater freedom of movement in a small room. Opt for discreet colours, such as the exclusive matt shades of the Kaldewei Coordinated Colours Collection, that blend harmoniously with the bathroom floor. Not only will this add to an aesthetically homogeneous appearance, it will also make especially small bathrooms appear larger. Contrasting colour combinations, such as black and white, add exciting accents that heighten the decorative effect in the room. Make sure to take advantage of natural light, complemented by a well thought-out lighting scheme. A word of caution: Strong or dark colours can quickly make a small bathroom feel even smaller. There is nothing that says a small bathroom can’t have an inviting ambience. Polished surfaces made of steel enamel, for instance, give a sophisticated impression while also opening up the room.